Polish news channels have been calling Lacrosse for interviews on Brexit, asking for our view as a media monitor on what might happen now. The honest answer is that we are just trying to keep up with events, and our guess is really as good as any other’s. Radio Scotland’s Saturday morning show talked of a cartoon where two students were discussing their courses. One says to the other: “I study political history. The course covers the period from 8 am on Thursday to midnight on Wednesday”. Harold Wilson once famously quipped that a week was a long time in politics, well now I think we can say the same about a single day! Our industry is primarily translation and language services. In a recent blog post we wrote about the effect Brexit might have on translation work within the EU and for EU institutions, a point then raised by Polish EC Commissioner Danuta Hubner, who said English, with the UK out, may be downgraded in status from being one of three official languages of the Union. The reason being that Ireland had chosen Irish Gaelic and Malta had chosen Maltese as their official languages. Analysts, however, reckon the Irish delegation will press for change, as the majority of its staff are happier speaking English rather than Irish. In the upcoming negotiations that will determine the future relationship between the UK and the EU it is generally assumed that the UK will become part of the EEA which includes countries like Norway, giving the UK continued access to the single European market in goods and services, but most likely having to accept freedom of movement of peoples as a condition. Given the significance that immigration played as factor in the referendum it is difficult to see a situation under which the UK would readily accept the latter as a condition of free trade. Therefore, a future UK government may, in order to control its borders, end up having to conclude separate free trade agreements with its European neighbors, like Switzerland had to do. Over the past 25 years the Swiss have concluded 150 such agreements, so there will be some documentation to work on, especially if the UK wants to have such agreements ready before they officially exit the EU. Bureaucracy aside, business people of the EU frequently converse and correspond in English as a lingua franca and there is probably an irreversible trend in this regard, with nearly all EU school children learning English and fewer currently learning other languages. France, however, has already hinted that the dominance of English will come under threat post Brexit, suggesting that French could be the next dominant language. This sounds fanciful for now and we would hazard that marketing materials and web sites etc. will still be translated primarily into English for global consumption and even if they write in English they will continue to turn to qualified native speaker proofreaders to keep the standard of their copy high. Remember also that the Anglosphere has six major countries, UK has 65 million English speakers, but this is only 17.6% of the total. There are 300 million in the US, 67% of the total, not forgetting the 16 million English native speakers in Canada, 17 million in Australia, 4 million in New Zealand and 4 million in Ireland. So even if the UK exited the universe rather than just Europe, there would still be significant demand for translation involving English either as source or target. The UK domestic market for translation is a more complicated matter. Common Sense Advisory have estimated that the UK has the second largest translation market in the world because of its central role in world trade, with spending of GBP 1 billion in 2015. A slice of this spending is paid for by officialdom, as informational materials for non-English speaking residents are published in an array of languages. Will a post-Brexit UK government want to continue to support such spending, especially if there is a tidal shift towards integration through education rather than the preservation of the separateness and diversity of ethnic communities. Again, any move to reduce spending on this front is likely not to be immediate and the workings of officialdom would be fraught with difficulty due to the room for misunderstandings if materials in foreign languages were no longer available. If Brexit leads to changes in laws and regulations, initially such spending would need to be increased in order to keep those affected informed. UK translation firms may still lose out though. At present, part the translation into English in the EU area is done outside the UK. The best providers engage Anglophones who are based abroad and many of the Language Service Providers (LSPs) have lower cost bases than UK-based LSPs. The temptation will be greater for German or French companies to shift their translation outsourcing from a UK-based agency to another agency based in another EU country, especially one like Poland or Romania, where they can get the same level of quality will be greater if they choose the right supplier. One factor to consider from a UK perspective is that the current EU freedom of movement is of particular importance to the language . Many firms require their translation and project management staff to be native speakers of a European language other than English; many current translators are not, therefore, UK citizens but EU migrant workers. From the perspective of an EU citizen seeking a job in translation outside their home country, the appeal of working in the UK will be significantly reduced by a Brexit. 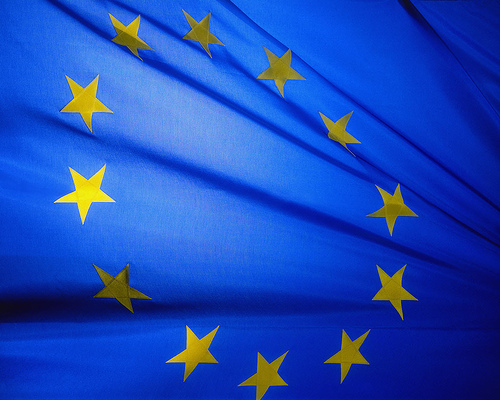 With a fall in demand for translations into English, working within the EU as opposed to an isolated UK and translating languages that are still considered relevant and important to business, may hold more appeal. As a result, the UK language industry would have restricted access to a skilled multi-lingual workforce. Those who wish to remain may encounter obstacles, such as the need in the future for visas and work permits. Moreover, the fall in the pound against major currencies improves competitiveness for exporters of services but service providers attempting to attract skilled workers from abroad will be under more pressure to raise rates for translators, who will always do a quick back-of-an-envelope calculation of a UK wage in their own currency. Overall, uncertainty is bad for business. It leads to fewer transactions and less marketing effort, with most companies adopting a “wait and see” policy. As we still don’t know what shape Brexit will ultimately have and as Article 50 of the Lisbon Treaty has not been invoked, and with the prospect of related legal challenges, the uncertainty is likely to continue for some time to come. So there will definitely be an effect of Brexit on the translation industry, but it will not be felt evenly or suddenly. If there is a shift of translation work out of the UK, providers like Lacrosse, which engages qualified native speakers based outside of the UK and which has a production hub in Poland, may stand to benefit. But in the long term we believe the UK being integrated with the EU is a win-win situation, bringing growth for the economy. Language interest, Presentations and media benefits of outsourcing in Poland, Brexit, EU issues, Lacrosse, Language services, legal translation, translation, UK market. permalink.